I made a delicious spicy pad thai recipe for dinner last night and my almost four-year-old had three helpings. You guys, this never happens. He is a pretty good eater most of the time, but for him to ask for more helpings had my husband and me staring at each other wondering where our child went, and who this amazing eater was! 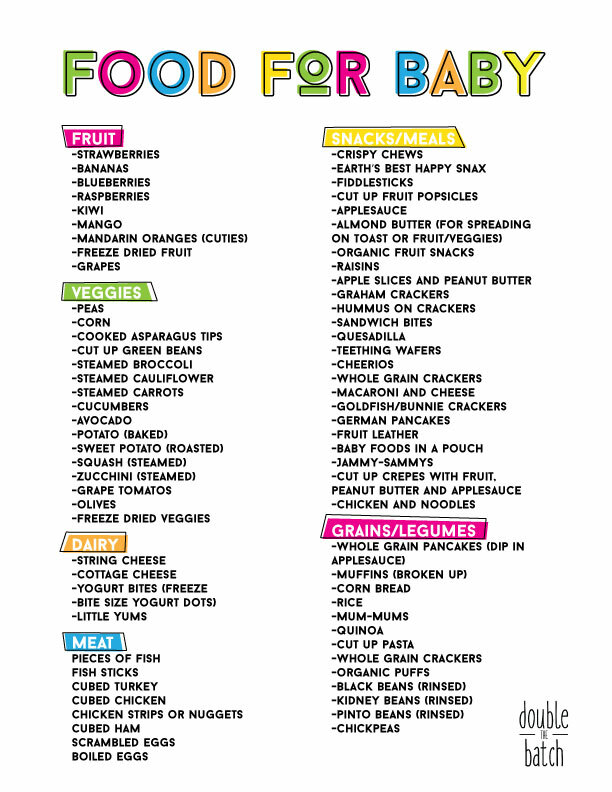 I’m expecting my third child (a boy) in just a few months and I started thinking about the eating habits he’ll pick up from his big brother and sister. I remember so vividly the day I started giving solid food to my first two – it felt like such a huge day – I even had my husband record the moments on his phone so I could include it in our family videos! I started my little ones on bits of mashed up, watered-down avocado, then tried some squash and a few other simple starter foods. That got us through a few months before the kiddos were grabbing at the bowl of food and wanting to feed themselves and picking at my plate for food to stick in their mouths! Next phase: finger foods! I had a general idea of finger foods that were easy and yummy for my littles, but I wanted them to have a good variety of food so they wouldn’t get too picky or bored. I kept a little list on my refrigerator so I knew what to keep stocked in my fridge and in the pantry and it was so helpful having that list when I was getting a menu ready each week before grocery shopping. 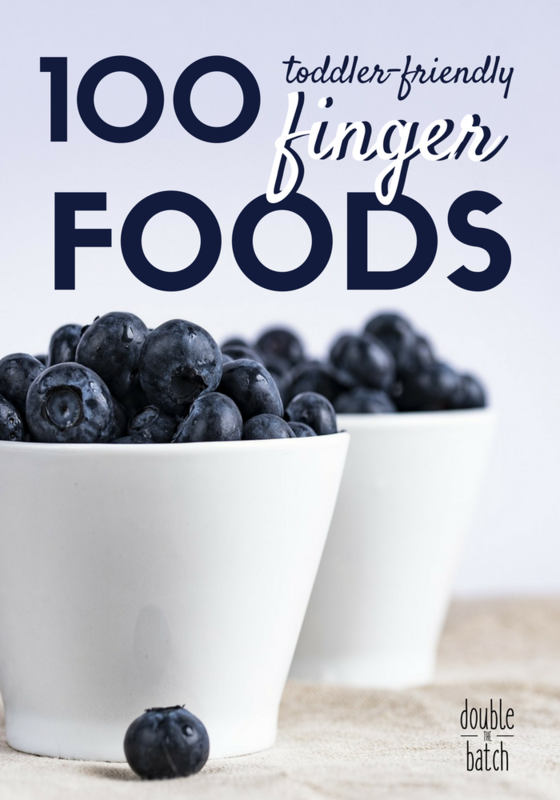 So, in an effort to take a “to-do” off your busy mom schedule, here is a printable list of 100 Finger Foods to make your shopping/feeding easier! You can either click on the picture for the downloadable PDF or click on the link. It is so amazing to see your little one grow and develop, and to see the excitement on their face and their eyes kind of widen a bit when they put something new in their mouth – ahhh! I love that look! It’s truly such a privilege to be a mother and to see all these firsts. To help ensure that other families have the chance to see that look on their little one’s face when they try a new food for the first time, or any of the other first milestones, check out what the March of Dimes is doing to “Give them tomorrow” and consider either writing a card to someone with a premature baby in the NICU or donating to March of Dimes. They (and we) would love to hear your stories of how you have supported loved ones, or how you made it through a difficult time with your premie using the hashtags #babysfirst and #givethemtomorrow.